Nasdaq Dubai has got another roll of the dice with an IPO from local mobile-phone retailer Axiom ticking all the right boxes to generate interest in the flagging bourse. Originally called the Dubai International Financial Exchange (DIFX), Nasdaq Dubai opened in September 2005 and looked well placed to prosper. 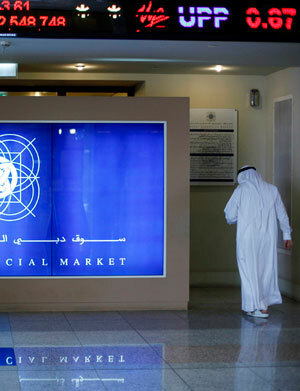 With systems and procedures modeled on the London Stock Exchange, the dollar-denominated market planned to tap international interest in the Middle East and exploit its position as the only UAE exchange fully open to international investment. Its location also meant it could bridge the time zone gap between European and Asian markets. The reality proved disappointing. Just four companies currently listed on Nasdaq Dubai actually floated on the exchange, and only one stock on the entire exchange, ports operator DP World, trades every day. Moreover, despite being the only traded company, DP World, which like Nasdaq Dubai is ultimately owned by the Dubai government, is the worst possible advertisement for the exchange. Having listed in November 2007 (and spurned a dual listing in London in order to bring more credibility to what was then DIFX), DP World has performed miserably and currently languishes at 56% below issue price. A large proportion of its share price decline is attributed to Nasdaq Dubai's limited liquidity: In a tacit admission of its error, DP World now plans to list in London in the second quarter of 2011. So how could Axiom help turn Nasdaq Dubai around? Firstly, because it is the first IPO since Nasdaq Dubai merged with Dubai's domestic dirham-denominated stock exchange, DFM, which is also owned by the government. Historically, DFM has been retail investor-focused and more liquid than Nasdaq Dubai. By including Nasdaq Dubai stocks on the screens of DFM traders the hope is that some of the liquidity may get spread around. Secondly, Axiom's bankers believe the retail-focused business of the company will guarantee ample news flow and stimulate trading interest in the stock—something that is in short supply for other Nasdaq Dubai stocks. With dozens of Dubai-based companies currently planning to list overseas, a hit float for Axiom could help to lure them to list on Nasdaq Dubai.